This man is from a now extinct species, a type of buttoned-up character who was common in the 1950s and 60s. 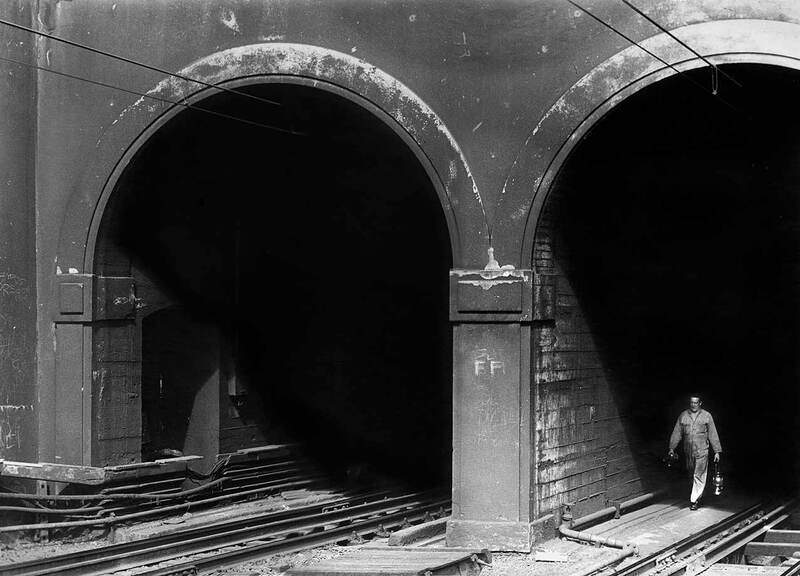 When this picture was taken, vast numbers of men wore suits to work every day, even to the most ordinary jobs. 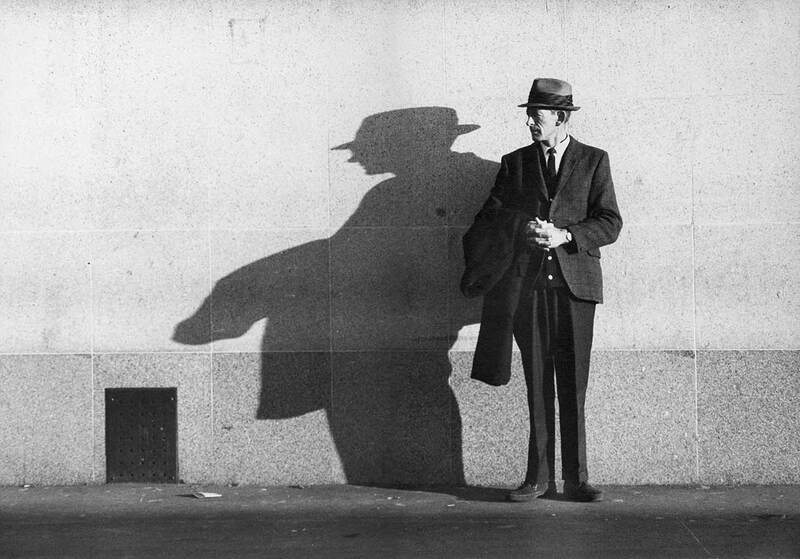 I like the balance of the composition, and the man’s still, watchful pose. But it didn’t take me long to realize the shadow can be interpreted in an obscene way. You can’t not see it now, can you? As I recall after 45 years, Lindy was a friend of a friend and she lived near the beach. I knew her only briefly but long enough to take some photos of her. She was a good model and I think this is a good image. I love the mystery of the white hand and that screen of leaves. It was one of my successes as a student at Prahran Tech in 1971. As a twenty year old photography student at Prahran Tech, I would occasionally take something that satisfied me, and I remember being surprised when this photo came off. I thought it bore a passing resemblance to a good photograph. The large scale of the industrial architecture dwarfs the worker, a technical man who strides confidently into the light. My father had once been a man just like that, a plumber for the railways during the Depression and his stories lit up my childhood. For a photographer, subjects are all around you, as long as you can perceive them as subjects. Looking back, I can see that in those years I didn’t have a subject that directed me. Others at Prahran like Robert Ashton and Carol Jerrems were making terrific photos, and strong reputations, of subjects that moved them. They were immersed in their own times and thought it important enough to document. They knew their subject was all around them. Brian MacNamara was a photography student at Prahran Tech in 1971, a year or two ahead of me. He was an eccentric character with a distinctive humour and wide literary interests. He taught me a lot about cinema which I am grateful for. We shared a flat in St Kilda in a mansion that was once the French ambassador’s residence. It’s gone now, replaced by an ugly block of flats, like so much of Marvellous Melbourne. The Prahran photography course was confusing, it was not well designed as a curriculum and many students never finished … me, Bill Henson. Brian did finish, getting a Diploma after three year full-time study. How well he did I don’t know. He once advised me to just make sure that I get 51% for all the assignments, that way I’d guarantee to pass. He made it sound like a game. He may have been right but I wasn’t sure that was a path to excellence. When I was a 21 year old Prahran photography student I was proud of this photo, I thought I’d got it right. I liked Lin’s frontal gaze, the symmetry of the architecture, and the soft focus background. What really impressed me, though, was that I’d shot it handheld at a 1/15 of a second and it’s sharp. In film cameras lacking the image stabilising motors of digital cameras, this is very risky. Small victories count. 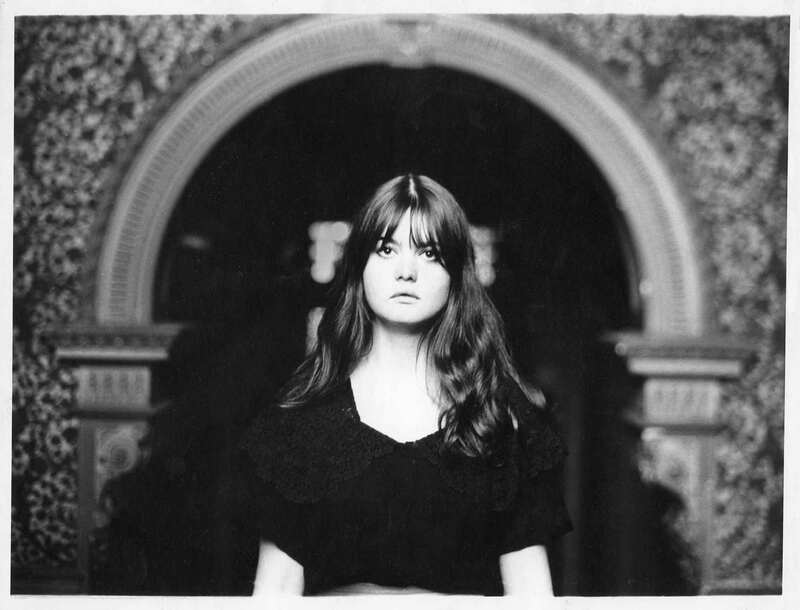 The picture was taken at LaBassa, the Victorian mansion where I lived for a few years in the early seventies – in the servant’s quarters. The building’s detailing made a great background for photos, and it still does. It’s often used for weddings, fashion shoots and episodes of Phryne Fisher, the TV detective. And Lin, the young woman in the photo? I have no idea. She was there for a while, then not. 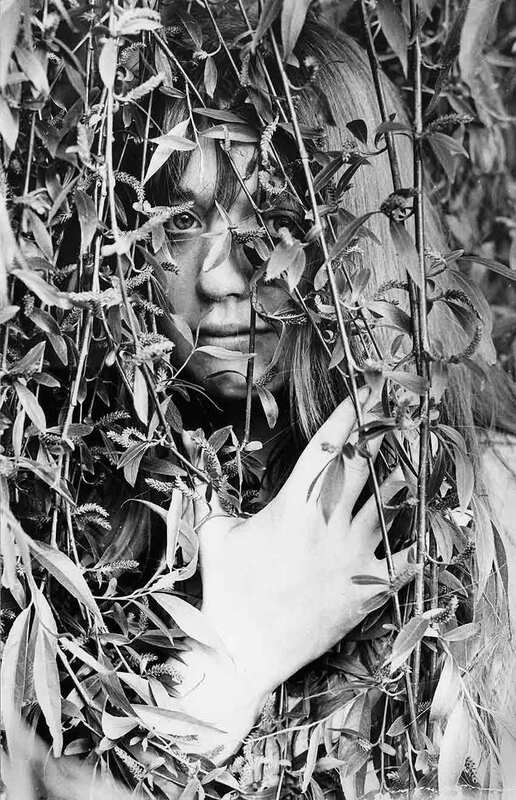 At the time I thought she had a romantic aura, and she does seem to belong to those faraway psychedelic times. This Saturday, July 16, you can attend a free forum on the Max and Olive exhibition at the Ian Potter Museum. 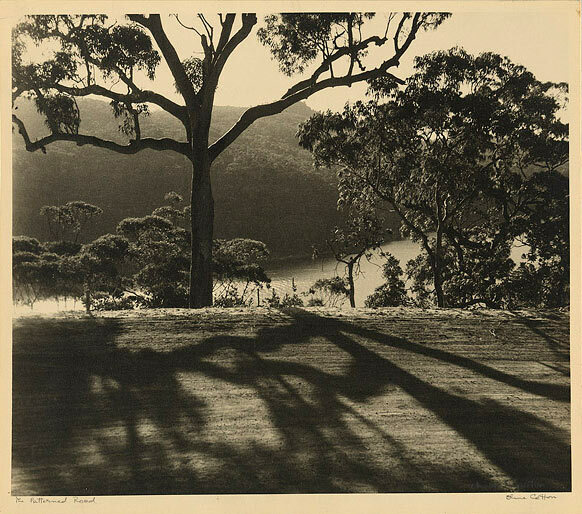 The speakers will discuss the work of Max Dupain and Olive Cotton, the “two luminaries of Australian Photography” who are the subject of the exhibition. The three speakers are experts in this area having written and curated extensively about modernist photography in Australia, including the work of Dupain and Cotton. Isobel Crombie is Assistant Director at the National Gallery of Victoria and wrote the excellent Body Culture, the book which analyses the ideological background of Dupain’s work. Helen Ennis is Director of the Centre for Art History and Art Theory at the ANU’s School of Art. And Shaune Lakin is Curator of Photography at the National Gallery of Australia. The free Forum runs from 2-4pm at at the Ian Potter Museum, Swanston Street, Carlton. 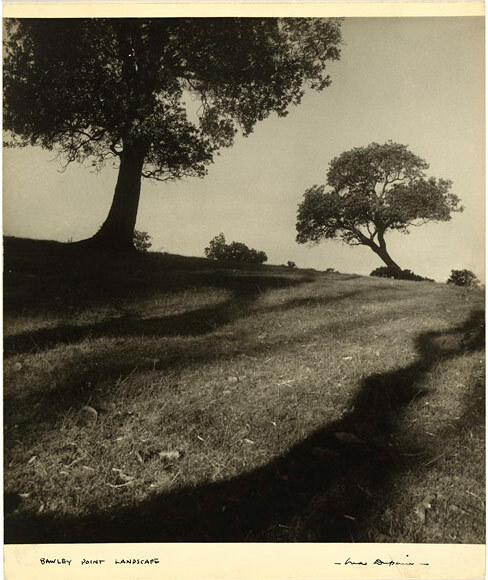 Max and Olive is an exhibition at the Ian Potter Museum at Melbourne Uni that looks at the work of Max Dupain and Olive Cotton, two important Australian photographers. It focuses on the period of their close professional association, and brief marriage, the years of 1934 to 1945. It closes on July 24, so run, don’t walk, to this fabulous show. The exhibition is a fine-grained analysis of their vast and progressive output, and draws out much about the period and the social context. 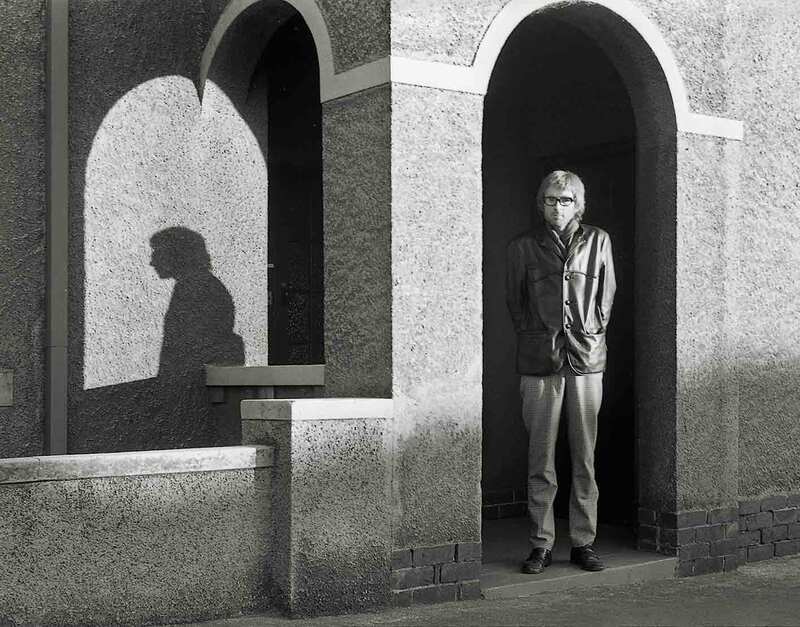 The two worked in every genre and evidently set a new standard in Sydney for modern photography. The studio, opened by Dupain in 1934 (at the age of 23!) was immediately successful and he worked prominently in fashion, portrait and advertising photography. 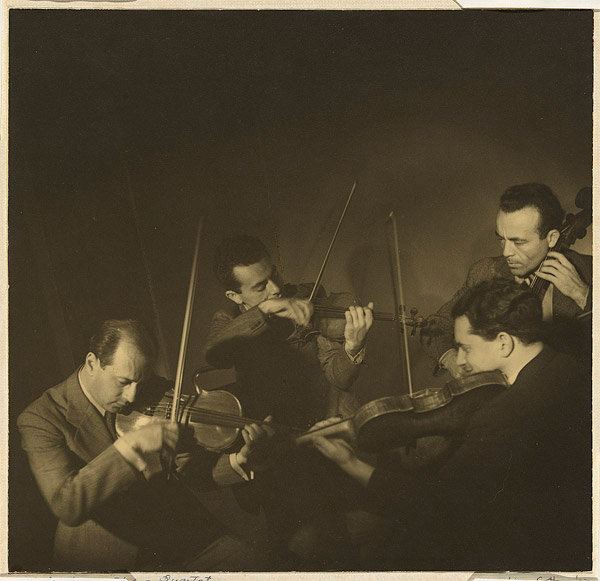 In 1937 the studio was commissioned to photograph the Hungarian String Quartet which was visiting Australia on a tour. The two resulting photographs in the exhibition show a clear difference in aesthetic temperament between the two photographers. 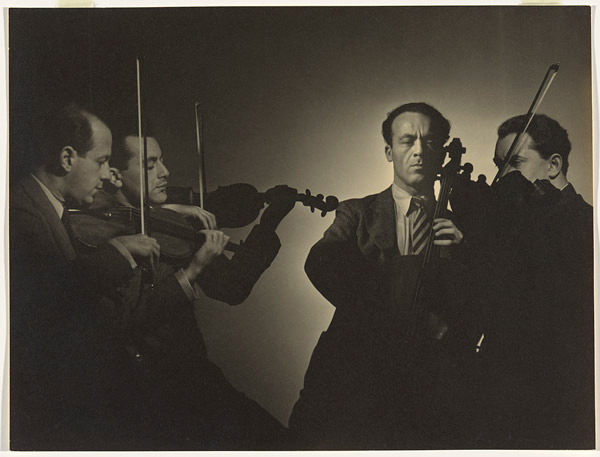 Cotton, who was Dupain’s studio assistant, photographed the four musicians as a team, emphasizing the relationship between them as they performed a serenade by Tchaikovsky. ‘”I wanted to get the feeling of a group making music that they loved,” she said. Dupain’s image is more theatrical, with one player, possibly the leader, heroically lit while the others are in subdued light and moved to the side. Where Cotton’s is an image of equality, Dupain’s is one of hierarchy. In this respect the twin photographs are almost a caricature of the gendered gaze. Cotton’s image is more equivocal. She is juggling more elements and they are linked in an almost circular visual path. It is not as clear and decisive as Dupain’s and suffers a little from indecision, but as a scheme it reinforces the impression given by her Hungarian violinists. Cotton’s work is more about relationships, while Dupain is looking for heroes. The exhibition Max and Olive is a special event, the first to look at the work of these two historic figures together. While Dupain is clearly the superior artist, Cotton comes out very well. And as a display of fine photographs the show is a revelation, there is much to learn just from how they worked with photography, especially the formal qualities of composition, contrast and print colour etc. The exhibition is a travelling show from the National Gallery of Australia. It’s website has a complete set of the pictures in the show with text so after you’ve seen the exhibition you can review it at leisure on a computer. Just make sure you see it at the Ian Potter Museum first.